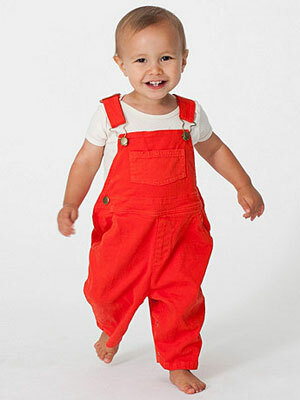 The bright colours, smart designs and durable fabrics at American Apparel are ideally suited to kids clothing, with these Infant Twill Dungarees a particular highlight. Made of cotton with a bit of elastane for stretch, the dungarees have adjustable cross-back straps and the traditional 5 pocket style with poppers on the inside leg. Choose from light blue, poppy, or my personal favourite, mouse brown. Available for ages 3 months to 2 years, they cost £32 a pair. Find out more here.